Brandi has been publishing her words online since 2002, receiving much inspiration from her kids and a desire to live a rich, healthy life. Your search for the healthiest juice recipes can end here! Anyone can find health and vitality through fruit and vegetable juicing...in your own home, using your own equipment...it's easier than you think! I first started juicing about 4 years ago and it has since become one of my healthiest habits! My passion for juicing started after I watched an inspiring documentary called Fat Sick & Nearly Dead (see below), directed by a man named Joe Cross who started the film with a chronic illness and a lot of extra weight. He set out on a journey to health, dedicating himself to a 60-day liquid fast. For 2 full months, Joe drank all of his fresh fruits and vegetables and ate nothing else...and his results were absolutely phenomenal! Read on to discover reasons and tips and 5 of the best healthy juicer recipes that taste good too! If you feel inclined, please share your favorite juices in the comment section at the bottom of the page...sometimes I need new inspiration, too! Interested In Watching Fat Sick and Nearly Dead? - Available At Amazon.com! 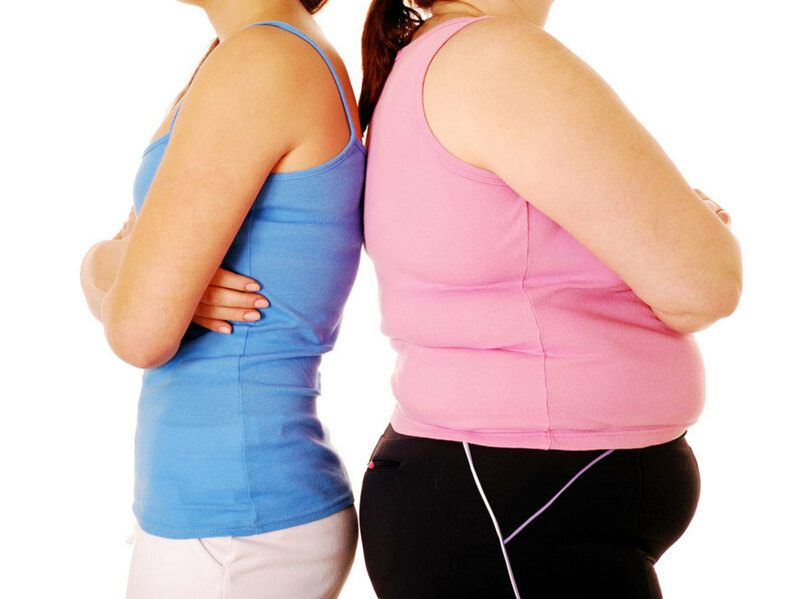 This movie will open your eyes and inspire you to begin a healthier lifestyle! It has been the catalyst that has changed many lives for the better...including mine! There is no better or more efficient way to get concentrated nutrients into your body than by drinking your fruits and veggies. When the liquid is extracted from produce, all of the fillers are left behind and you get more concentrated vitamins, minerals and disease-fighting antioxidants! In no time, you will feel lighter, you will have more energy and you will be thinking more clearly, too...the health benefits are amazing! If you've never tried it before, get started with these super healthy juice recipes today. Keep reading to learn about how to start juicing for weight loss, clarity and better overall health...your body will thank you! What Are The Possible Benefits of Juicing Vegetables and Fruits? Eating a clean, healthy diet, including fresh juices, may have the following positive effects to your health. Start reaping the health benefits of juicing vegetables and fruits right away! Please do not take this as medical advice or as a cure for any specific ailments. See disclaimer at the bottom of this page. 10 Reasons to Start Juicing Today! Juicing can aid in weight loss and healthy weight maintenance. Juicing for weight loss may not be your #1 priority, but so many other health benefits come from drinking it fresh! 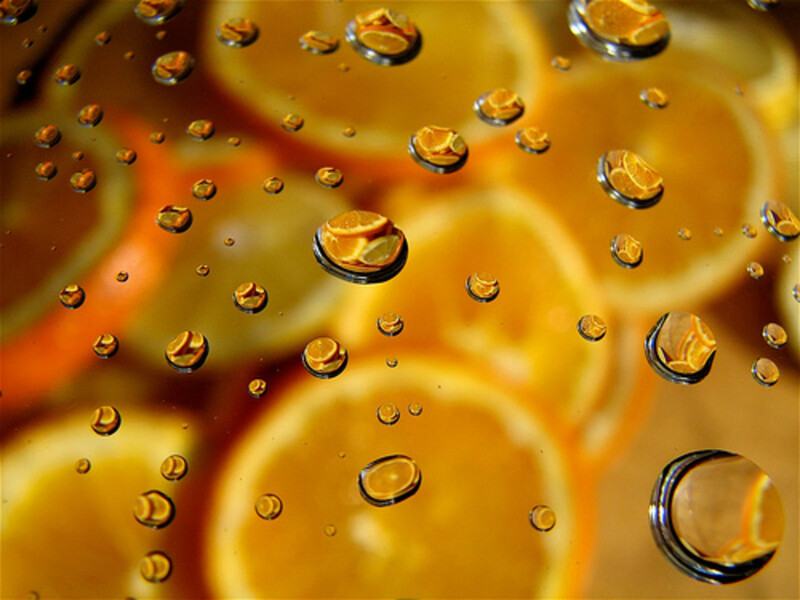 Juicing can give you clear, smooth and hydrated skin. Juicing can give you increased energy and vitality. Juicing can strengthen your immune system. Juicing can give you a more efficient digestive system. Juicing can regulate your blood sugar levels. Juicing can regulate your blood pressure. Juicing can aid in clearer thinking and reduce that "foggy" feeling...be prepared to feel a difference in this area! 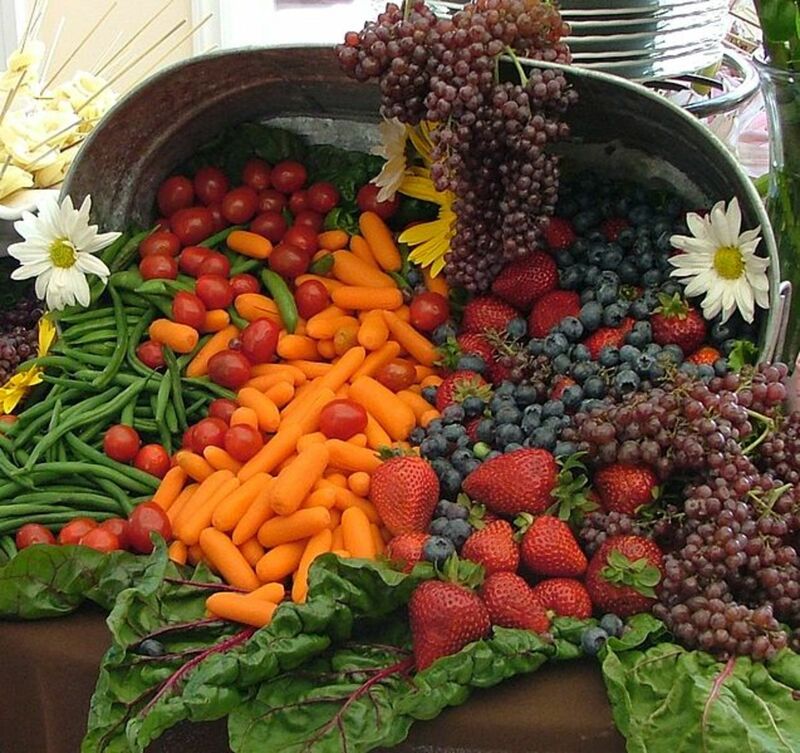 One theory that is gaining ground is that phytochemicals in fresh fruits and vegetables could possibly prevent cancer and even fight existing cancer cells! Juicing feeds every cell in your body with water, vitamins, minerals and essential enzymes, making you a healthier person in every way! See my top picks for Best Juicers for Beginners! If you've watched the original documentary, Fat Sick & Nearly Dead, you may be wondering, "What juicer does Joe Cross use?" I get asked this question a lot! Although he never mentions the model that he used at the time of the taping, we know it's a Breville and it looks like it is most likely the Breville JE98XL. In the movie, Fat, Sick and Nearly Dead, Joe Cross uses a Breville right out of his vehicle as he travels. Breville Juicers are highly rated in reviews and perfect home juicing. I own a couple different juice extractors, but this model is one of my favorites for every day use and ease of clean up! 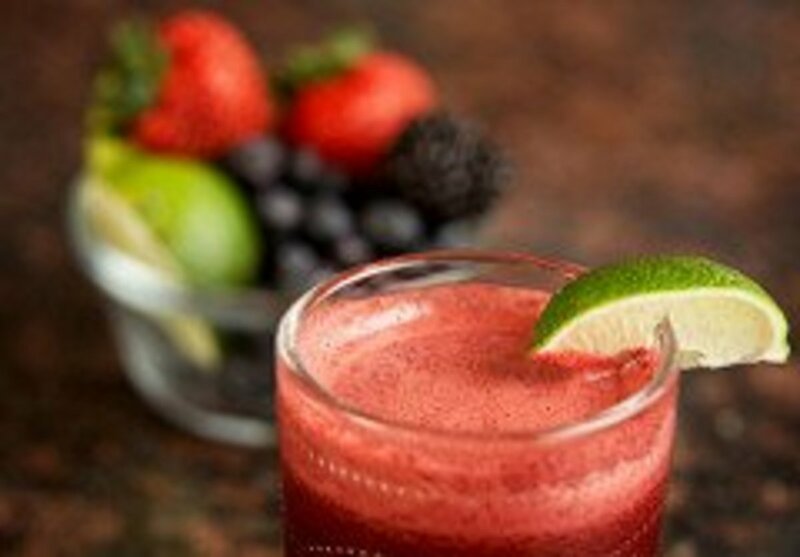 5 Healthiest Juice Recipes...Delicious Too! 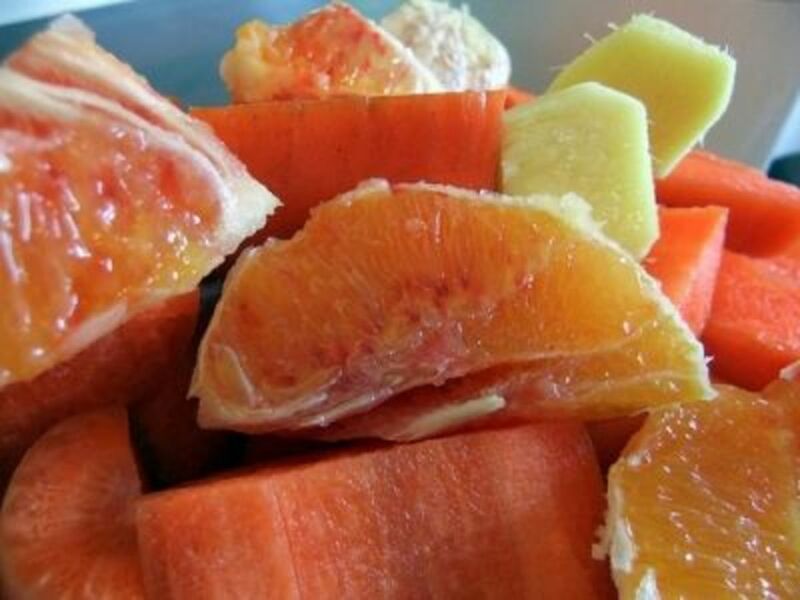 The following fresh, healthy recipes could be the basis for your new healthy juicing regimen! I try to drink each of these juices at least twice a week to infuse my cells with all the essential nutrients they need to thrive. At least once a week, I do a 1-day fast where I don't eat any solid food. It helps to keep my body cleansed and working more efficiently. Plus, I've lost a few pounds in the process...can't beat that! I hope you enjoy these fast and easy nutrient-dense juicer recipes! 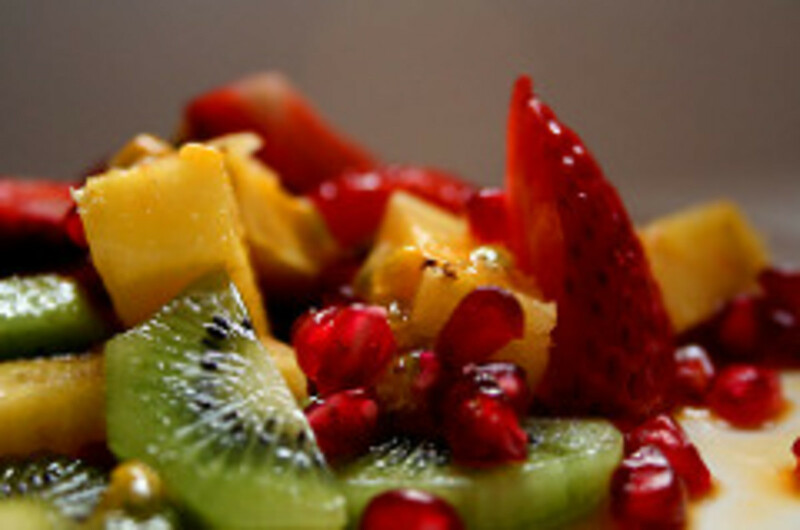 Fresh tropical fruit is so refreshing first thing in the morning and will give you tons of energy to begin your day! This is a great one to help you get started if you are new to the practice. It is full of antioxidants, vitamins and minerals to give you a mighty punch that goes right along with your new health kick! If you're not convinced about juicing after trying a glass of this fresh tropical fruit juice, you just might need to try another glass! This recipe makes more than one glass, depending on how large of a glass you use. I like a big glass of juice, especially first thing in the morning, and I still get 2 servings out of this. You might even be able to make it into 3 small glasses...so share it or save the rest for later! 2. Very Berry Elixir - This one's for your sweet tooth! This is my favorite juicer recipe to have for a sweet treat. I love to make it in the afternoon when I get a bit of a sugar craving. ! 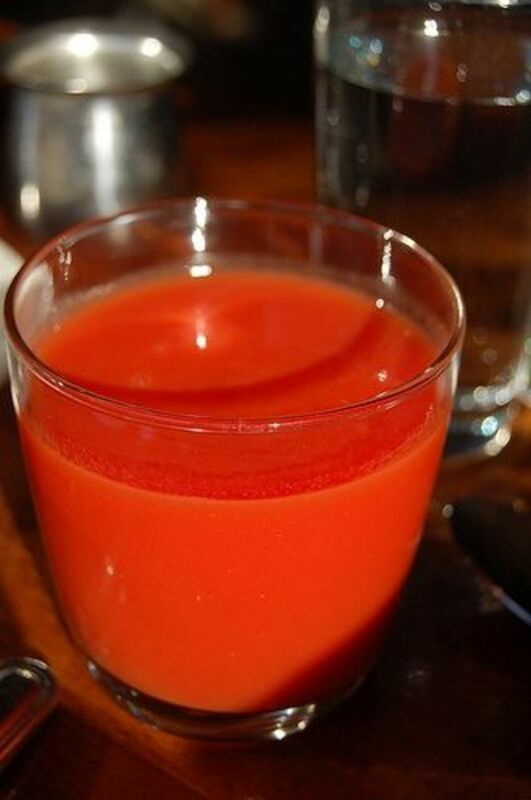 This recipe makes at least 2 large glasses of juice...Share and enjoy! This one is like liquid gold and is full of Vitamin C...a wonderful way to boost your immune syste and perfect for flu and cold season! The addition of ginger not only adds a wonderful surprise flavor, but it can help ease nausea, reduce pain and inflammation, and even relieve migraines. Ginger also aids in strengthening the immune system...working right along with the vitamin C from the citrus! Ginger is a very strong-tasting root and you really don't need a lot to get the healthy benefits and the punch of flavor! 4. Make Your Own V8...Easy! Are you a fan of V-8? You can make your own at home! This is the best homemade V8 juice recipe I have tried. Here are simple instructions for getting the nutrients from 8 key sources for an all-around healthy choice! Not being a huge fan of vegetables, this one took a few times for me to start enjoying...but now I really look forward to it! It makes me feel like I have infused my body with good stuff...that is a great feeling! If you don't enjoy this at first, give it a few tries. Just think about not having to eat your veggies - you can drink them instead! I get a different amount of juice every time I make this one...it basically just depends on the size of the tomatoes and cucumber. You should get 1 to 2 glasses from this recipe. Simple - Run it all through the juicer and drink! Isn't this fun and easy? I love to drink my greens because I definitely don't eat enough salads to get the incredible health benefits of the leafy greens. Plus, there is no fruit to peel or slice in this recipe...everything is thrown into the appliance whole! Super fast and easy! 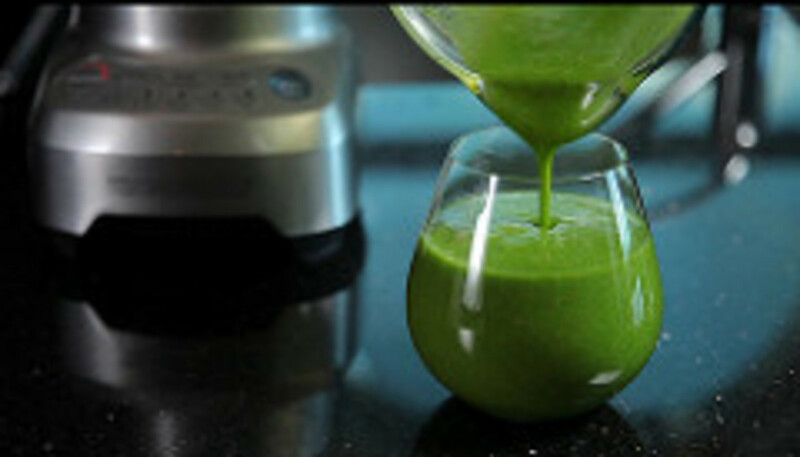 I do not use the same ingredients every time I make this Mean Green Juice Recipe. Instead, I throw in a combination of whatever lettuces I have in the fridge and an apple. The ingredients above are just suggestions for healthy dark greens to use for your green juice. If you prefer to drink a sweeter juice, use 2 apples to create a sweet, fruity base and then add greens until you have enough juice for a whole glass. Carrots can also be used to sweeten up greens...and add even more incredibly healthy nutrients! Watch the YouTube video below to see how Joe Cross from Fat, Sick and Nearly Dead makes his Mean Green Juice. 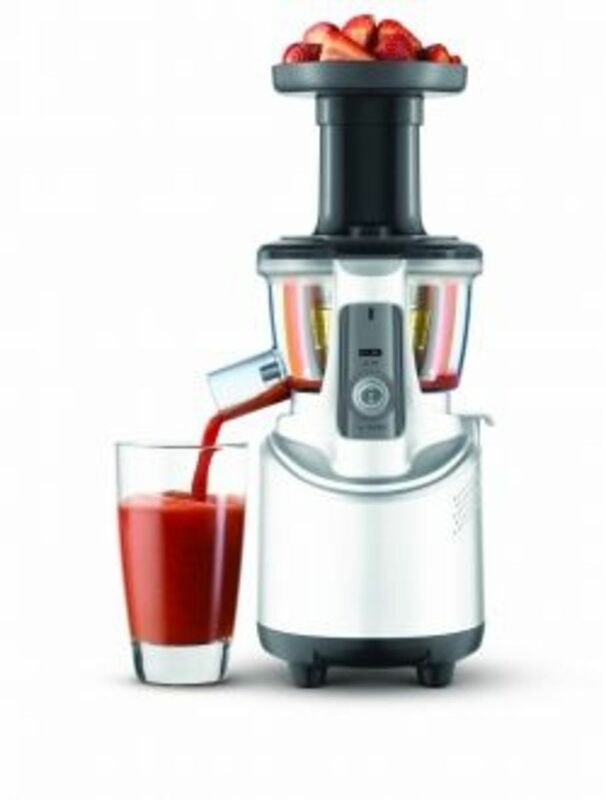 Would You Help Other Readers Decide Which Juicer to Buy? Now that you've found some healthy juicing recipes, please tell us about your favorite juicer! I used a "hand-me-down" extractor that was on it's last leg for about 6 months while I saved up to buy a new one...and I wanted to get the best value for my money. At first, I didn't want to spend more than $200, but I wanted it to be the highest quality I could get in my price range. A lot of juicers were recommended to me when I was searching, but I actually ended up splurging on the Breville BJS600XL Fountain Crush Masticating Slow Juicer because I wanted the slow, masticating action that squeezes the most juice out of your produce...fruits and veggies are getting expensive, after all! No matter what your price range is, you can find one that will work for you. If you are experienced in the art of juicing, please let us know which extractor is your favorite by leaving a reader review below! My cheap, low-quality machine gives me juice...it serves its purpose. 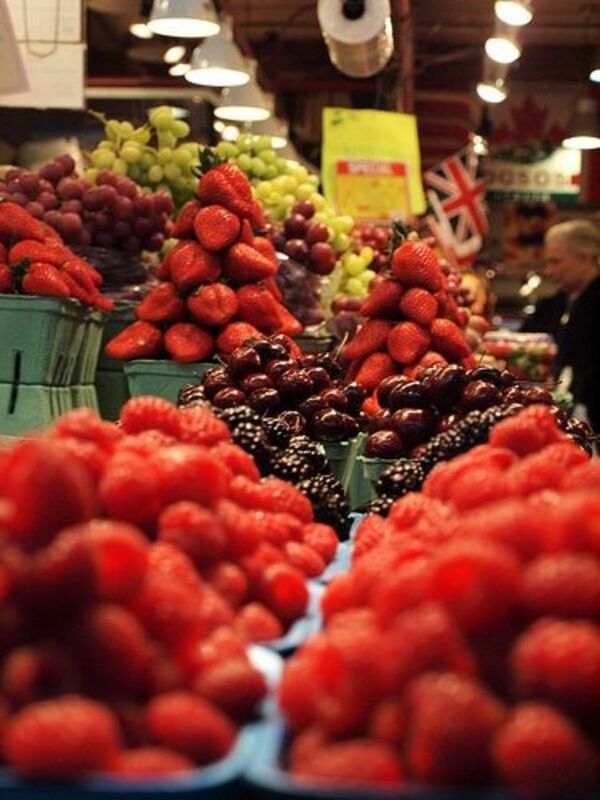 However, produce is expensive! And after I process my fruits and vegetables, the "pulp" that is left behind is soaking wet, still full of liquid! That should be in my glass, not left in the waste receptacle! If you watch Joe Cross's videos on the page, you'll see that he reaches in and pulls out some of the leftover pulp and it's DRY. This is how a good juicer should work. 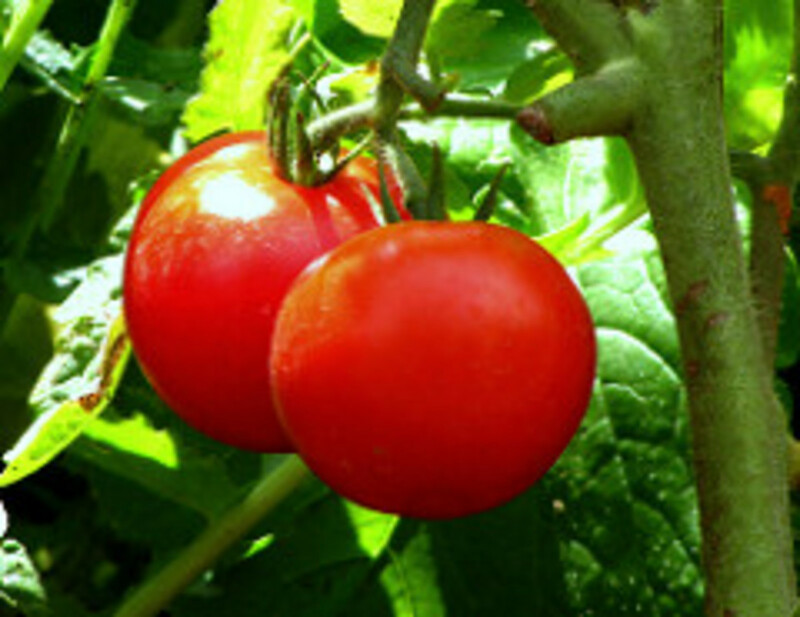 It should efficiently remove every last drop of moisture from your produce so that it goes into your body instead of the compost. Buy the highest quality machine you can afford on your budget! Don't settle for the cheapest one you can get at your local big box store. I made this mistake and I feel like I wasted $50...that money could have gone toward a better appliance...and toward the cost of fresh fruits and vegetables that would go much further in a better machine. ...to use your leftover pulp...or compost it! Bonus: Juicing Pulp Recipes - How will you use your leftover pulp? You won't keep it up if you get tired of the process! Buy an extractor that is easy to disassemble and clean. Make sure you take care of it as soon as you're finished! 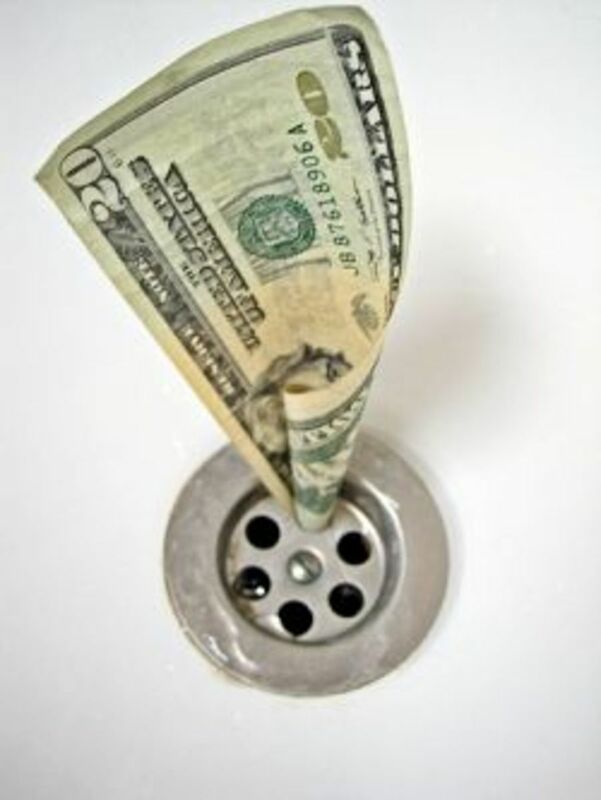 Tip: When I first start, I fill my sink with an inch or two of sudsy water. Before I sit down to enjoy, I quickly take the juicer apart and wash up the parts while they are still "wet". If the fibers dry onto the equipment, it can be MUCH more difficult and time-consuming...meaning you will be less likely to keep juicing! The information on this site is not intended or implied to be a substitute for professional medical advice, diagnosis or treatment. All content, including text, graphics, images and information, contained on or available through this web site is for general information purposes only. Brandi Bush makes no representation and assumes no responsibility for the accuracy of information contained on or available through this web site, and such information is subject to change without notice. You are encouraged to confirm any information obtained from or through this web site with other sources, and review all information regarding any medical condition or treatment with your physician. Brandi Bush does not recommend, endorse or make any representation about the efficacy, appropriateness or suitability of any specific tests, products, procedures, treatments, services, opinions, health care providers or other information that may be contained on or available through this web site. BRANDI BUSH IS NOT RESPONSIBLE NOR LIABLE FOR ANY ADVICE, COURSE OF TREATMENT, DIAGNOSIS OR ANY OTHER INFORMATION, SERVICES OR PRODUCTS THAT YOU OBTAIN THROUGH THIS WEB SITE." Reader Reviews - Which One is Your Favorite and Why? 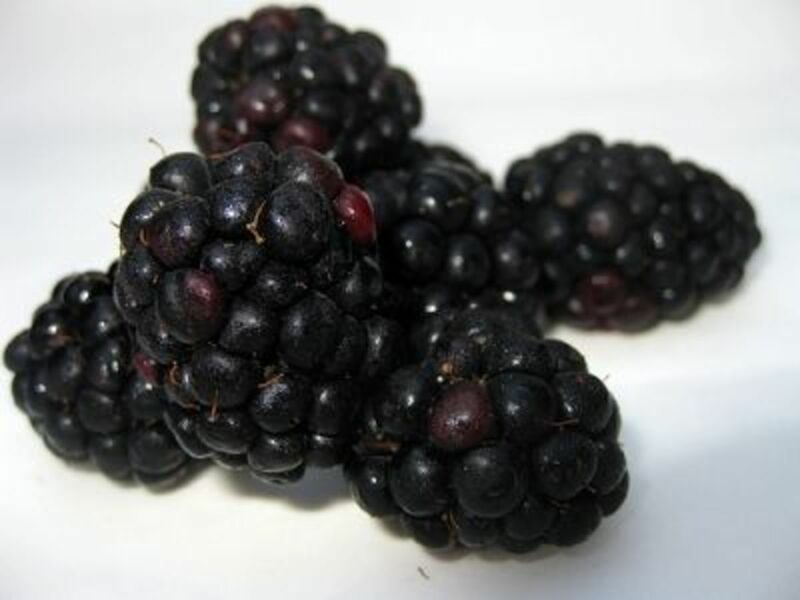 Wow, It is an Awesome recipe for juicing. Health is most important and this juice sounds great. We just started juicing recently. Great info. Thanks! Great recipe. I think I like to try the Heart Healthy Vegetable juice. Thanks for sharing. Wonderful recipe you have shared with us. Juicing is an amazing way to get a ton of vitamins and minerals from your diet alone. Watching "Fat, Sick, and Nearly Dead" was an amazing motivator to get my life back on track. I highly recommend it! Wow- great mixtures. I will have to try some. Thanks for the info! Great recipes! Sounds delicious! Thanks for sharing! I really enjoyed reading that article. Cheers! You know, I never knew there were juice recipes.. I always squeeze fruits I have (usually oranges) into a cup and that's it. The fresh tropical juice looks really delicious. It makes my mouth water! I will have to try it. Great lens and thanks for the info! Great lens I'm off to start juiceing now! Great lens! My wife and I started a juice cleanse after watching Fat Sick and Nearly Dead about a year ago. I lasted 3 days before I gave up (and dragged my wife down with me...). Love your lens. I have been juicing in maintenance mode for over a year now and I absolutely love it. I am actually currently working on a Juicing Lens and Healthy eating for my family so I don't have to send out tons of emails to many different people. Since I thought it would be mutually beneficial to anyone else, I decided to do it in a lens instead of a website. So I will most likely be linking to your lens for recipes and juicer options because I do not plan to delve into that with much detail. I will be talking more about the science of juicing and how different foods effects our bodies. Hmm these are fantastic! I must try all of them, I'm especially interested in trying the Citrus Surprise with Ginger! I love healthy nutrition! The green leafy power juice got my interest. I know Kale is very healthy but I have no idea how to make it taste good. I've tried but not successful. You gave me a good idea to give it a try again. Thanks for sharing, mamabush! Very nicely done lens as well as informative. Thanks! I got my first juicer after watching that "Fat, Sick, &amp; Nearly Dead." Great way to get nutrients! I've been quite interested in juicing as of late, thank you for the recipes and juicer recommendations. Awesome recipes for juicing. Im a blender, I love to blend. I may just try some of these for blending. Great recipes. I'm trying to find a more healthy and nutritious alternative to store-bought juices for myself and my daughter. Thanks for the tips. I'll give them a try! Been using my Omega Vert for about two years, every other day. It's relatively quiet &amp; easy to clean, plus the pulp is very dry so I feel like we're getting our money's worth. Highly recommend it! Health is most important and this juices sounds great . Wow what a great lens! I am new to Squidoo and have just written my first lens about my juicing experience but this lens is full of original ideas and makes mine look a little bland! I can see I have a lot to learn. Beetroot, carrot, apple and celery's a great mix for breakfast . Yum!!! A glass of this in the morning for breakfast is a great way to start your day! I will be starting a new lens in about a week or less about Super Foods. Juicing can be considered as a super food because you can get almost all of your required daily nutrients all in one! Definitely a good lens. I love a glass of carrot and apple juice from time to time. Juicing is something is very powerful &amp; healthy. Glad your lens on this subject is reaching people. My mom bought her machine 39 years ago and she still uses the SAME one!!! I wonder if they make any to last like that anymore! As a child, she made me drink raw beet juice when I had a severely high fever that would not come down. IT WORKED when nothing else would. That's the healing power of raw, fresh juice. LOve these! WIll try them out, thanks! awesome! Fat sick and nearly dead is what inspired me to get into juicing. 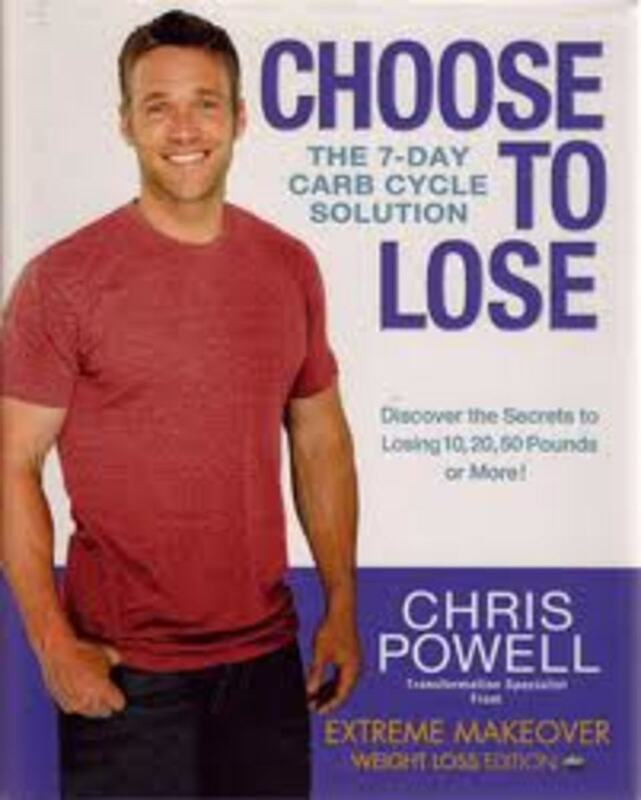 Have helped tons of people already lose weight, even do 10 day cleanses! SUch a great way of life, thanks for the lense! I did my own juicing lens too. Now what do you think about storing the juice? I'd rather drink it fresh than store in the fridge, because I think the taste get's a little bad after a couple hours in the fridge (even if it is was properly closed in a container). I love juicing and I am always on the lookout for new juices to try - thank you! I am going to try the citrus surprise with ginger. juicing diet is really works well. i have tried it before. thanks for the recipes, ill try it and it looks delicious, i guess my kids will love it too. I liked your lens and will try the juices! I mentioned some of it on my latest lens! Best wishes keep up the good work! @anonymous: I am about to buy one of these tonight! Thank you for helping know I am making the right decision. :) So excited! Awesome Lense, I have always liked Joe Cross, his movie is very inspirational. just got a Juicer today! Cannot wait to make tomorrow! I can not imagine summer without my smoothies. Nice lense. I purchased a Breville Compact Juicer. I am new to juicing and I didn't want to spend a lot on it. I was pleasantly surprised by how quick it juiced. It was a one minute clean up washing it. And it was not real loud. I live in an apartment and was concerned that I would wake the neighbors, but it was quiet. I am going to do the 3 day fast starting tomorrow and if that goes well, I will bump up to the 7 day or longer. I love my Breville. After taking me through a 30-day juice fast (big props to Joe Cross!) it still runs like a champ. I use it Every Single DAY!!! And no - I'm not affiliated w/the company - I just love juicing. Great real valuable lens... I really love and value smoothie recipes... Thanks a lot for that! I bought the Hamilton Beach Big Mouth today at Walmart for 59 bucks. I brought it home. washed it, slapped it together and made apple, carrot, pear juice. The juice flew out of the spout! I think I spent my money well! Easy to clean! It has a 1.1 horse power motor with 800 watts of power. It works very well. @anonymous: Debbie, my name is Debbie and I am just starting to juice. Just got my juicer yesterday. I am 58 and 275. I'd team up with you for support. I have thought about juicing for a couple of days just to put my system back in sync. I know it takes some adjusting at first, but I'm sure I would feel much better once I juiced for a couple of days. I really like the sound of the tropical and berry recipes, so I will have to give those a try! @anonymous: Ginger I am wondering how you are doing so far. I am 60 and 313 lb. a week ago when I started juicing. Today I weighed in at 304.6! That alone will get me thru another week! I was hoping we could team up with each other for support. Let me know. @anonymous: yo chris - where'd you find that amazing juicer deal!? We purchased the Cuisinart CJE-1000 1000-Watt 5-Speed Juice Extractor a couple of weeks ago, and, thus far, it's been great. While it can be a little loud with things like Kale stems, it's not as loud as our food processor when it's grinding cheese. The pulp isn't dusty dry, but it's not wet or mushy--it's dryer than we expected, and we get a good amount of juice out of the things we pop in. Thus far we've done kale, chard, parsley, spinach, apples, carrots, blue, black, rasp, and strawberries, oranges, kiwi, mango, pears, celery, and cukes. I think that's it. It's not fun to clean, but it's also not a huge chore, and many of the parts are top-shelf safe in the dishwasher. Overall, we're happy with it. Someday, we'd like to shoot for a masticating juicer, but those days are a couple years away. Just wanted to note that if you're using a cheap juicer (which wastes) you can save the vegetable pulp and make vegetable broth. Make sure you juice any fruits with your veggies last though.. unless you think fruit flavored vegetable broth is a good idea! @anonymous: Omega juicer!! Just bought mine on sale at Tuesday Morning for $179! They were 60% off. I love the omega juicer - such a counter saver and easy to clean up. I am 63 and 340 pounds, I am on my way to becoming a juicer. I have a dog, Tara to live for and I don't want to die yet. Also, I had a beautiful dog for 11 years, her name was Misha,so I was surprised when that guy Misha came on. I want to change my life NOW!!! And it would be great to win a juicer. Thanks for the encouragement. @Brandi Bush: Amazon shipped my Breville immediately. I wanted to get the Breville Juice Fountain Plus, but at the time wasn't willing to spend the extra money so I got the Hamilton Beach Big Mouth Pro and it works just fine. I'm still sure the Breville would be a better decision, but for the money Hamilton is a very good juicer. I bought the Hamilton beach big mouth and I love it completely satisfied with machine and I feel it's a wonderful machine at a great. Price. I would prefer Breville BJE510XL with 900watts multi-speed. Its Disc titanium-reinforced blades can hndle both hard and soft fruits. I bought the Hamilton Beach model and used it for two weeks. It did a decent job juicing for its $50 price. It was a mess to cleanup. However, a piece melted off and since it was still under warranty they were going to send me replacement juicer. It is more than a month later and I am still waiting for it. I have since bought and Omega and I love it! Breville BJE510XL Ikon BEST INVESTMENT EVER!!!!! I came from blending and straining just to make a juice to this! Awesome product! Super easy clean up too! Love the number settings as it tells you which kinds of fruits and vegetables you can juice to what number you desire. Highly recommended! I think the Brevilles are the best just due to speed of juicing and cleanup. If you need to spend time chopping up your fruit and veg like you do with a lot of other juicers then the whole process becomes so slow! I like apple juice. Great article. I also agree with using the Champion macerating style juicer. Only drawback is that it takes a little longer to clean. all these sound great however be careful.. its been documented that when someone starts juicing and over does it on the fruit juices they can develop diabetes due to the sudden shock to the pancreas.. just a thought.. Nothing can be a best decision than to have a heavy duty mixer and using it on daily basis religiously to make juice - that's it and best health is guaranteed. Definitely the tropical fruit juice...while the veggies still allure me more as salads:) Wonderful recipes. It is the best to take in the morning. I like it very much...good lens. Jack Lalanne Power Juicer love it! We use an older Proctor Silex model that still works fine. I haven't used any of these. I had a much older model but it worked fine. 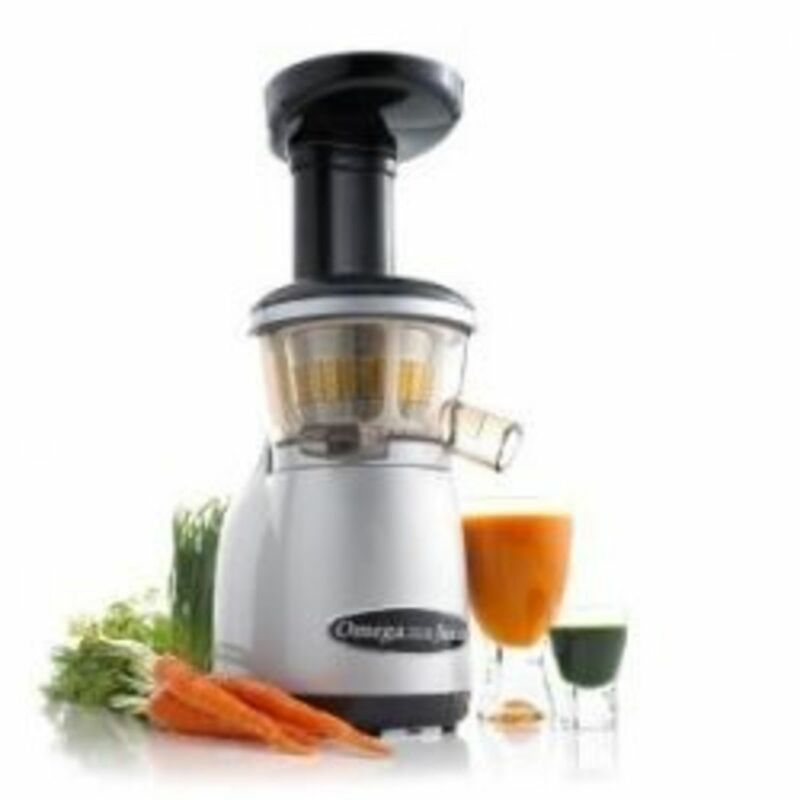 Having tried a few juicers, I like the Champion Juicer the best. I've extracted the most liquids out of all produce especially if I run it through a second time. Yes, it does add more air (thus making foam) but that will dissipate and blend well. Can't agreed more on the health benefits of juice. 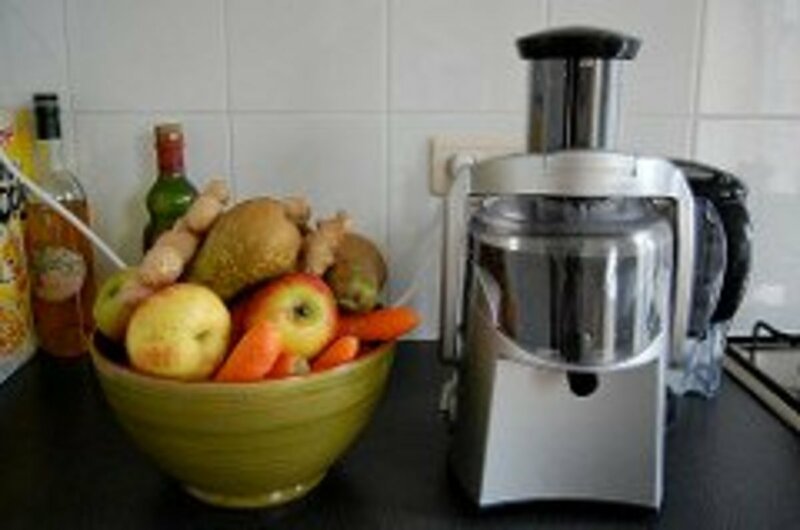 A good juicer can make the difference between enjoying it or as a boring chore. Fruit juices always freshens me up! These recipes not only taste great but are great for ya! What more can ya ask for! Watermelon is my favorite fruit juice. Leaky gut syndrome does not get enough attention! Probably because it has been associated with the over use of antibiotics. hey! i love juice and this is very helpful for me.. thanks a lot. 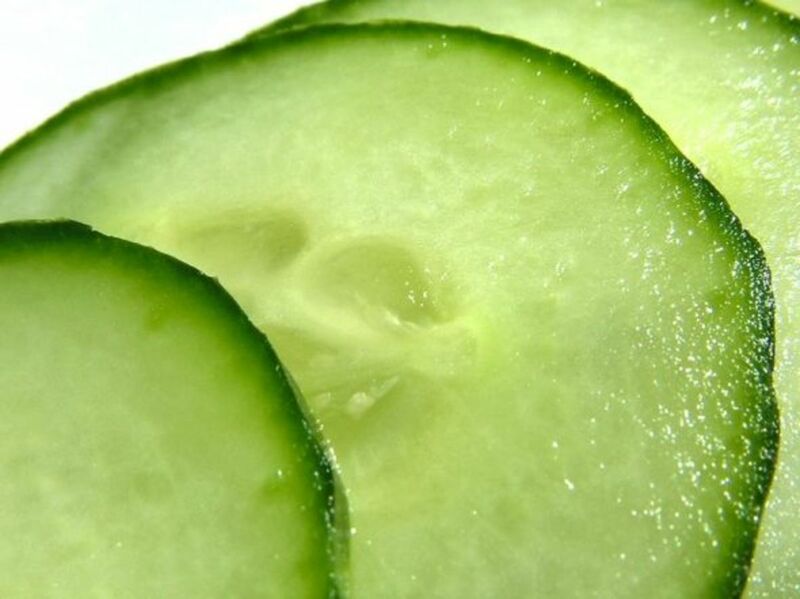 Your lens has motivated to get juicing and try out your recipes. i got into juicing recently. the real visible effect (when you take notice, though it happens everyday) is after the first week of daily juice consumption. @anonymous: I prefer Vitamix blenders as well - they can do much more than a juicer - yet the advice above is great: first buy a cheap one to see if you stick to juicing and then scale up!